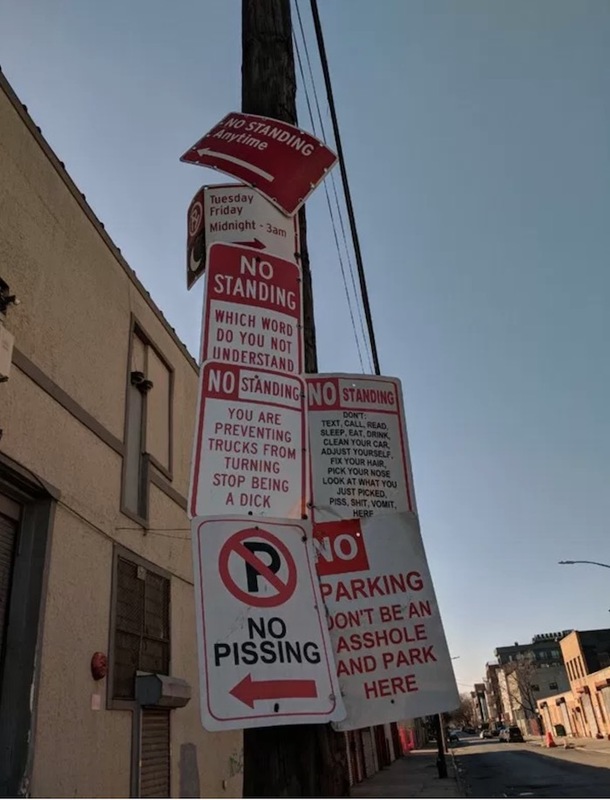 Probably unofficial but who cares signage at Freeman Street, Brooklyn, NYC. Posted in Design and tagged Brooklyn, sign at 3:31 pm on February 5, 2018 by Chompsky. 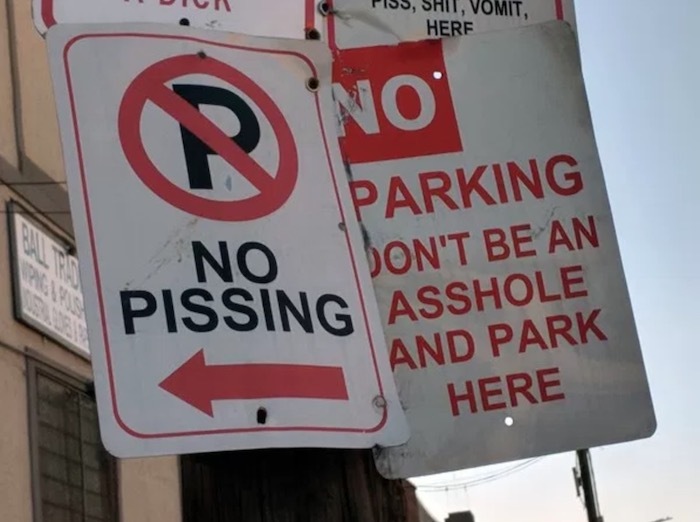 if i lived there, i’d stand under it just to annoy whoever put up that stupid sign. 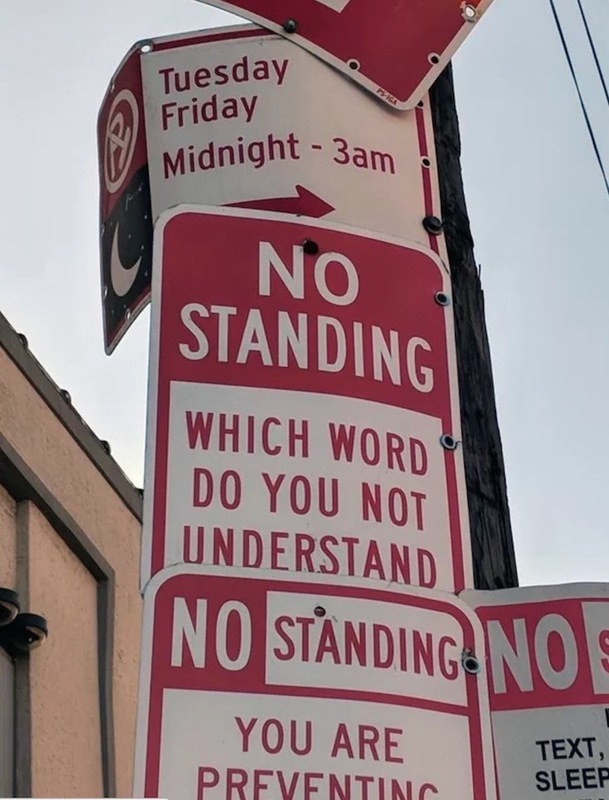 My takeaway: These rules only apply on Tuesdays and Fridays between midnight and 3am. 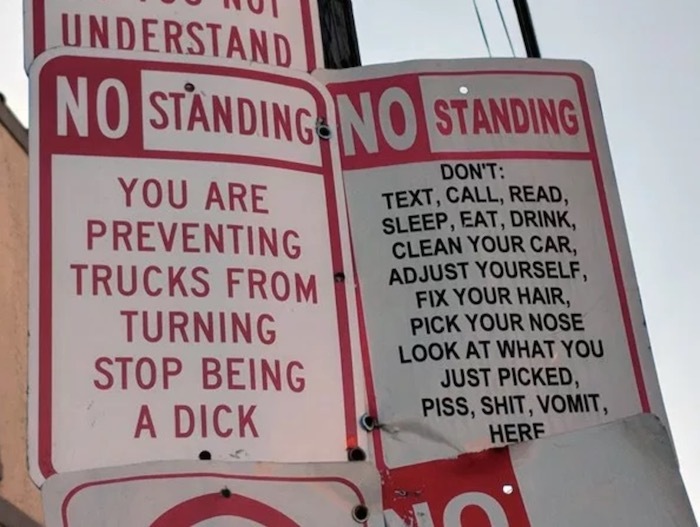 How are you going to read all the bloody signs if you don’t stand there? but never forget the original, bob zoell.